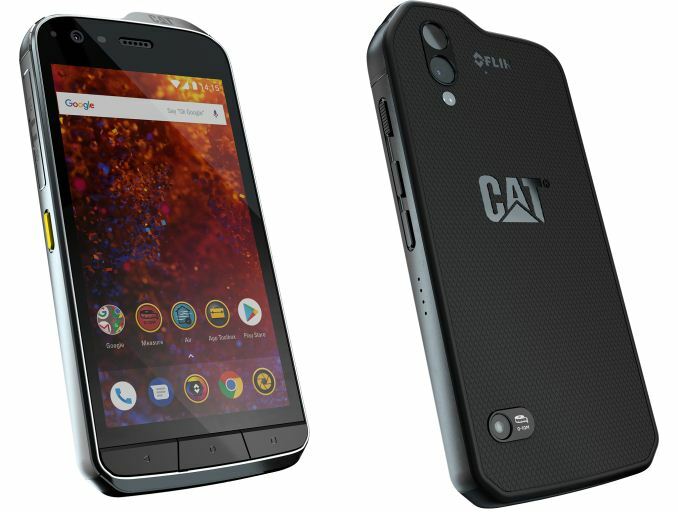 BARCELONA, ESP — Bullitt Group has announced its new flagship Cat-branded rugged smartphone, which is listed with improved performance and new features over its predecessor. The Cat S61 is aimed at people who work in harsh environments and require special-purpose tools, such as a thermal camera, a laser-assisted measurement tool, or an air quality sensor. Ruggedized smartphones are not uncommon, especially in environments that have harsher condititions than an office. While the latest handsets from the main Android vendors are splash-resistant, and some also enhanced protection against liquids and drops, these are still aimed at the bulk of the professional market that do a lot of sitting down. By contast, there are a number of companies building smartphones for severe environments, so ruggedizing itself is both an additional step up, but no longer a unique differentiator. Users that actually need smartphones with enhanced protection usually have to do work that requires various special-purpose tools. 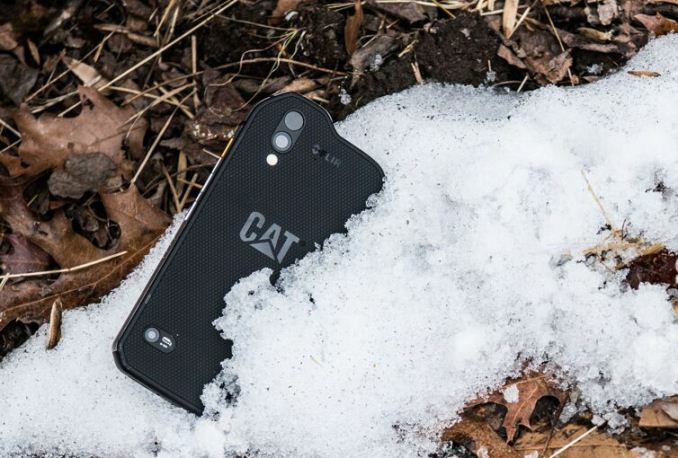 Cat/Bullitt realized this several years ago and decided to build the Swiss-army knife smartphone that would offer more special-purpose capabilities than other ruggedized handsets. The first of this family was the Cat S60, with an integrated FLIR thermal imaging sensor, released in 2016. Apparently, market response was good, so the company decided to enhance feature set of its Cat S61 even further by integrating more special-purpose hardware. The new Cat S61 has FLIR's latest Lepton thermal sensor and software that can measure temperatures from -20°C to 400°C and features an HD resolution. The manufacturer claims that the new sensor not only improves precision/quality, but also enables new use cases. In addition, the Cat S61 comes with an indoor air quality sensor from Sensirion that can detect indoor air pollutants (Volatile Organic Compounds or VOCs) and notify users when an unhealthy environment is detected. In addition, this sensor can detect humidity and current temperature. Finally, the Cat S61 also has a laser assisted distance measurement tool. 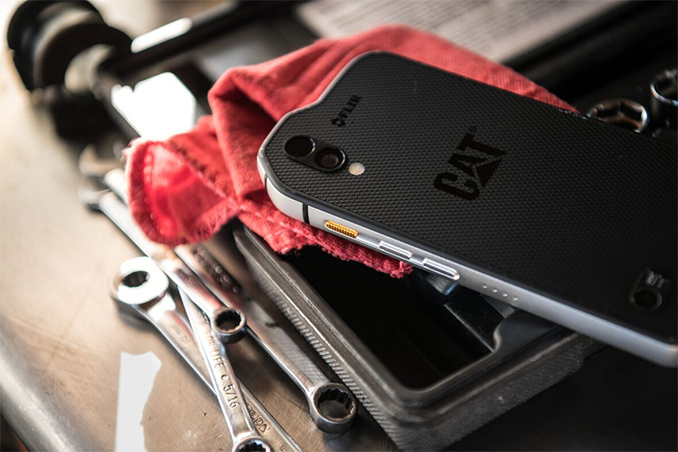 While the advanced sensors that Cat has integrated into its S61 provide valuable capabilities, the combination of these features essentially transforms the smartphone. Just like its predecessor, the Cat S61 is completely dust- and water-proof, and the IP68 rating means it can survive for one hour if it is submerged three meters underwater (the S60 is rated for five meters). It can also be repeatedly dropped from 1.8 meters on concrete without fatal consequences due to reinforced aluminum die-cast frame and Corning Gorilla Glass 5 display protection. Speaking of the LCD, Cat has upgraded it from top-to-bottom: it is now 5.2-inch in size and has a Full-HD (1080p) resolution. It is designed to be operated with wet fingers or while wearing gloves. The smartphone is based on the Qualcomm Snapdragon 630 SoC (four ARM Cortex A53 cores running at 2.2 GHz and four more A53 cores clocked at 1.8 GHz, Adreno 508 graphics, a dual-channel LPDDR4 memory controller, Wi-Fi, Bluetooth 5.0, an integrated X12 LTE modem with Cat 12/13 baseband capabilities, etc.) that is outfitted with 4 GB of LPDDR4 DRAM and 64 GB of NAND flash storage (expandable using microSD cards). Since we are dealing with the A53 cores, we do not expect the S61 to set records in benchmarks, but because the target audience of this handset hardly uses demanding games or data intensive applications, but rather prefers long battery life, the choice of low-power cores seems logical. In addition, the developer equipped the S61 with a 4500 mAh battery to maximize its life on one charge. As for imaging capabilities, the device comes with a 16 MP rear camera with a dual LED flash as well as an 8 MP front camera. Last but not least, the S61 now uses a USB Type-C interface for charging and connecting to computers. The product will be available in Q2 at an MSRP of €899/£799/$999. The Cat S60 used to carry a €649 price tag when it was released in 2016. Given that the S61 does not have direct rivals with the same set of sensors, its price point can arguably be justified. Moreover, given its capabilities, most of these phones will be sold to businesses, not to individuals. Companies are naturally less worried about the actual price and performance of smartphones in general applications but are more concerned about the advantages these devices might bring to their businesses immediately and going forward. 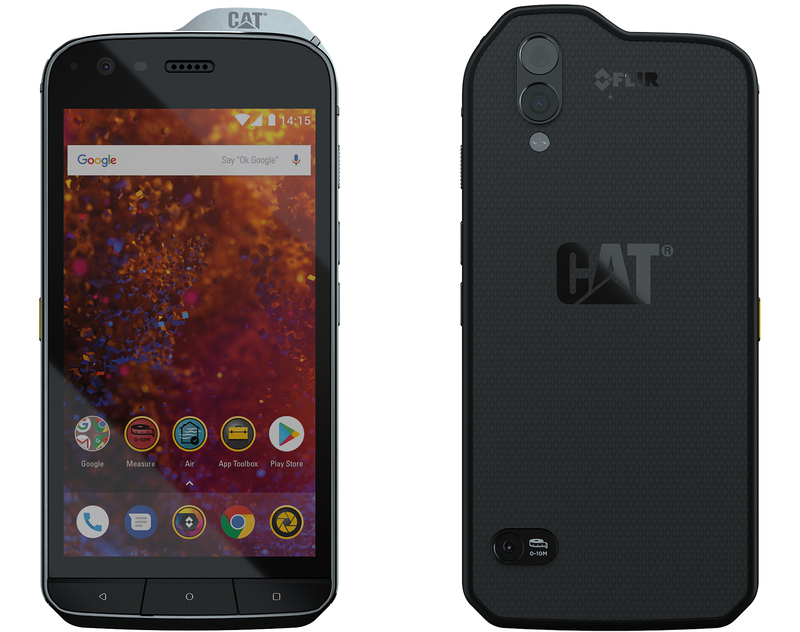 To ensure that buyers can deploy the Cat S61 quickly, the manufacturer will offer a catalogue of pre-selected applications for ruggedized smartphones. Furthermore, Bullitt will ship the S61 with Android 8 (Oreo) to ensure compatibility with the latest software today and going forward. "FLIR's latest Lepton thermal sensor and software that can measure temperatures from -20°C to 400°C and features an HD resolution"